Since 1907, W.F. Hann & Sons has been delivering the residential and commercial needs of families and businesses throughout the Greater Akron Metropolitan Area with top-rated air conditioning, heating and plumbing products. We are acknowledged as a leader in AC installation, AC repair and AC service. More importantly, W.F. Hann & Sons does not restrict itself to regular business hours, but we are renowned for offering support to our clients around-the-clock when their safety, comfort and property is at risk. Regardless if you schedule AC repair or AC installation work during regular AC service hours, or you find it necessary to take advantage of our 24/7 emergency service, you can depend upon W.F. Hann & Sons to deliver the help, rapid response and individualized attention you need. 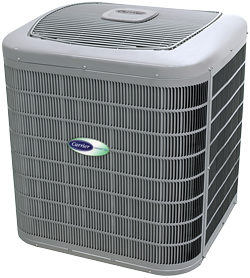 Therefore, whenever Richmond Heights homeowners and business owners require exceptional AC service, the only name they need to know is W.F. Hann & Sons. Richmond Heights, Ohio is in Cuyahoga County with over 10,000 residents living there. W.F. Hann & Sons at: 26401 Miles Road in Warrensville Heights is slightly more than 10 miles south of Richmond Heights. Our responsible AC service professionals are completely licensed and insured in AC repair and AC installation. Richmond Heights clients understand that W.F. Hann & Sons’ certified experts never take short cuts when it involves business practices, materials and products. We are recognized for having a “excellence-first” approach to all we do, so Richmond Heights clients are aware that our technicians will always arrive on time, dressed in our company uniform and have appropriate identification. Not only will W.F. Hann & Sons strive to meet their Richmond Heights customers’ expectations, but they will persist in exceeding them! W.F. Hann & Sons’ NATE (North American Technician Excellence) HVAC technicians offer clients written proposals and up-front pricing so that they know exactly what to expect. This saves our everyone both time and money. Best of all, W.F. Hann & Sons is unsurpassed in its commercial and residential AC repair, AC installation and AC service. We persist in honoring all state and local codes and adhering to the strictest standards of performance, safety and workmanship in the AC service industry. What’s more, every AC repair job and AC installation project is painstakingly inspected by senior staff personnel to make certain that our company’s high standards are maintained, and our customers are completely satisfied. For emergency AC repair services 24/7 and for the best AC service in the industry, call W.F. Hann & Sons, today, at: (216) 831-4200.